You are here: Home / Articles / Frontpage Article / What IS Mindfulness Meditation? 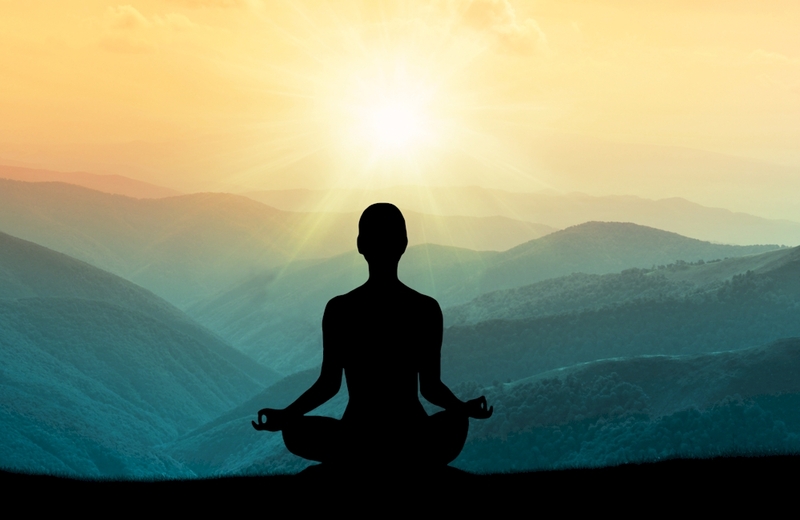 Meditation is proving to be a “must have” for people of all walks of life. Mindfulness Meditation, or Vipassana, is far more than a feel-good technique: As research continues to make abundantly clear, mindfulness is a powerful means of managing the stress, worry and hardships of living in the new millennium. Training in mindfulness teaches us how to focus our attention skillfully and intentionally. Like shaping our bodies by training our muscles, mindfulness training “sculpts” the areas of the brain associated with stress resiliency, insight, creativity and compassion. The stronger they are, the better we feel. These brain areas appear relatively impervious to anxious and depressive thinking. Recent research suggests that the brain can be significantly restructured in these ways with as little as eleven hours of regular practice. Do you doubt that you can meditate? You needn’t consider yourself a “meditator” or “contemplative” to benefit from this training. In fact, you may be at an advantage if you haven’t meditated before (although our training is great for those who already have a practice). Even If you’re skeptical, all you need is to be open to discovering the strong, positive effects on your life of paying attention to your breath for a dedicated period of time once a day. If you’re willing, then this training is for you. Been frustrated trying different meditations and visualizations, or down on yourself for not “getting it” on your own? Studies show that by setting aside time every day to practice paying attention to your breath, you will actually grow the areas of your brain you need most to fight stress, anxiety and depression. Our 6-week workshop will teach you to develop this simple yet powerful skill in the supportive company of others who are working on getting the upper hand over emotional distress, and we will make every effort to help you overcome your unique challenges. Julie Brams, MA is a licensed Marriage and Family Therapist, Professional Clinical Counselor, and Meditation teacher in private practice for over twenty years in the San Fernando Valley. Her practice integrates traditional therapy and the latest advances in the field of neuropsychology including EMDR Therapy and Emotional Freedom Technique.Julie Brams, MA is a licensed Marriage and Family Therapist, Professional Clinical Counselor, and Meditation teacher in private practice for over twenty years in the San Fernando Valley. Her practice integrates traditional therapy and the latest advances in the field of neuropsychology including EMDR Therapy and Emotional Freedom Technique. http://www.worrybuster.com/wp-content/uploads/meditation.jpg 650 1000 webfxadmin /wp-content/uploads/logo.png webfxadmin2015-10-07 23:04:172017-01-29 03:36:14What IS Mindfulness Meditation?